Michelle Wibowo's Showstopper Wedding Cakes book. Step-by-step instructions on how to make, decorate and transport extraordinary cakes. Beautiful photography of every cake plus a gallery of Michelle’s incredible creations. 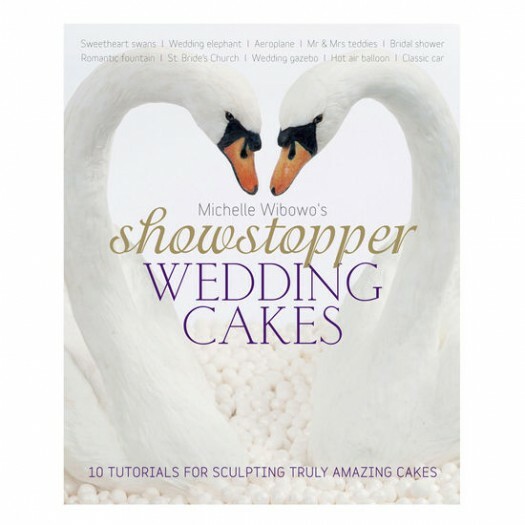 Award-winning cake maker to the stars, Michelle Wibowo, shares her secrets for creating larger-than-life celebration cakes in her highly anticipated first title, Showstopper Wedding Cakes. These are wedding cakes as you’ve never seen them before – from an accurate replica of St Bride’s Church in London to a life-like Indian wedding elephant, Michelle specialises in creating amazing cake sculptures with incredible attention to detail. Having taught all over the world, Michelle uses her trademark teaching skills to explain each cake from start to finish. 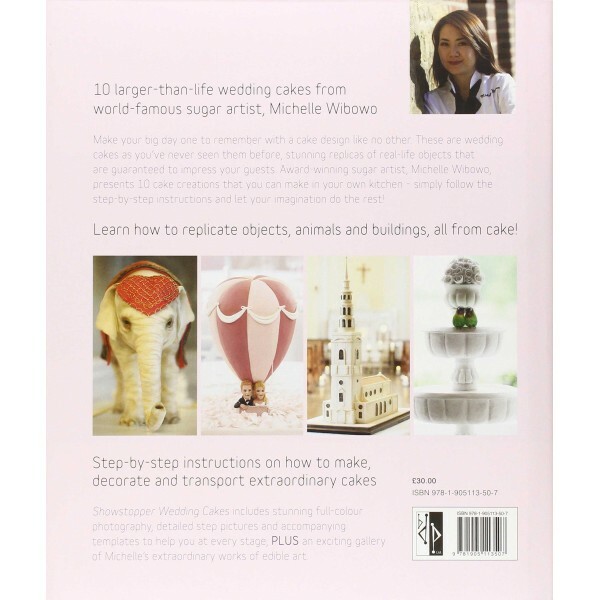 Her detailed instructions, top tips and step-by-step photography throughout guide you through the process of creating impressive cake sculptures in your own kitchen. Whether you’re a professional cake maker or a keen hobbyist, Michelle shows how airbrushing, texturing and sculpting techniques can all be used to create a breath-taking selection of cakes that would make a stunning centrepiece at any wedding. Once you’re equipped with the know-how, the sky’s the limit to what you can make with cake!